Do you have something to share in our newsletter? Due to overwhelming support for the construction materials for this project, we are NOW offering this two week trip with Terry Fielder for $1,100 plus airfare. The trip is Oct 31 - Nov 14. Current airfares today from Toronto are as low as $682. You could easily take this trip for under $2000 (tax receiptable) If you were contemplating going, there will never be a better time. Contact our office at 1-800-525-3545 or get in touch with Al Wigood or Terry Fielder. On Saturday September 19 Bill Morrison and Lisa Wingfield were baptised. Lisa Wingfield was baptised by Darrell Belrose. Confirmations followed on Sunday September 20th in Meadow Ridge. wrap up in your inbox or follow this link. Community of Christ has our first e-book! 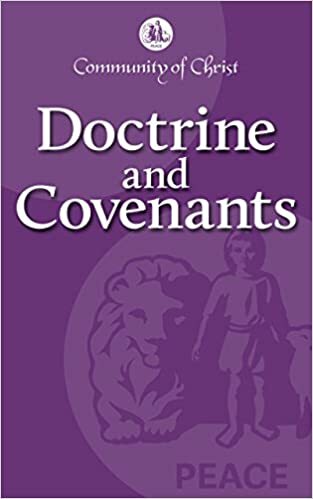 It is the Doctrine and Covenants, Kindle edition (free app available to make it compatible with smartphones, tablets and computers). Order it through the Community of Christ Amazon.ca link and support our church projects. Cancelled, see you next year. The tool takes into consideration factors including political instability and potential threats to a regime's hold on power that might lead to a response in the form of a mass killing. Live expert feedback is also part of the project, which defines mass killings as killings of more than 1,000 civilians.